Check out my top 6 “must haves” to shower your dad/husband/grandpa with love this Father’s Day. Looking for gift ideas for everything from a sporty to the tech-savvy dad? Want a list from luxury to affordable? I’ve got it covered for you! Sony SS-AR1 and AR2 Loudspeakers are uniquely crafted for music & movie fans. These speakers are for the die-hard music fans who pay attention to the small details of their music. The high quality craftsmanship is due to the combination of unique woods used to produce clear, exceptional sound. These woods are the tight-grained and rigid maple wood from Hokkaido, Japan harvested only in November when the grain is at its tightest and Finnish birch, used to balance out the sound and used in the side and rear panels. The Loudspeakers sport a sleek look with precision performance. These speakers range from 10K-27K, but if your dad’s a music enthusiast with an ear for detail, the astonishing clarity and natural balance of Sony’s top-notch SS-AR Series speakers will blow him away. 2. Trade In’s for the Newest Smartphones? Smart! AT&T has a promotion that can help you snag a great new phone for Dad. 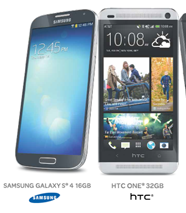 The Trade In and Trade Up program allows you to get 50% off the newest smartphones–LG Optimus G Pro, HTC One, and Samsung Galaxy S4–when you trade in your current smartphone. This is a sweet deal for any dad, especially the tech-savvy one who needs high speed and innovation! The LG Optimus G Pro is equipped with countless features, including an app that turns the phone into a universal remote and an advanced 13MP camera with Dual Recording front and rear cameras. The HTC One is packed with features like sound with built-in Beats by Dr. Dre Audio, the HTC Zoe mode that lets you grab an entire picture and bring it to life in three-second snippets, and comes loaded with AT&T’s DriveMode app that helps curb texting and driving. Last but not least, the anticipated Samsung Galaxy S4 features no-touch air control for scrolling through pages without using your fingers, a 13MP camera that takes great shots in low-light, and video recording in full HD at 30 frames per second. If your dad sports a good power color, AT&T is taking pre-orders now for the red Galaxy S4 hitting shelves June 14th. 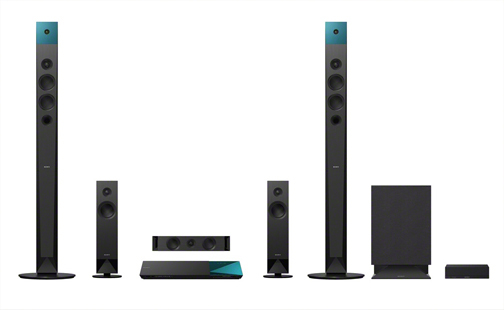 Sony’s Premium Home Theater System (BDV-N8100W) is an entertainment fan’s dream come true. This complete set includes a full HD 1080p Blu-ray Disc player, vibrant 5.1 channel HD surround sound, a 7″ sub-woofer, and 1000 watts of power. This home theater system has OneTouch capability with NFC devices, Bluetooth, and built in Wi-Fi for great streaming options–smartphones, tablets, Pandora, YouTube…you name it! Stream entertainment with the system’s flawless sound quality thanks to magnetic fluid technology in the system’s five speakers–you’ll never miss a line in a movie again. If your dad is an entertainment enthusiast, he’ll also enjoy the 3D capabilities of this system, in which you can convert 2D Blu-ray and DVD’s into 3D movies. If Dad enjoys fashion that’s about luxury, craftsmanship, and authentic originals, look no further than Sperry Top-Sider. Since 1935, Sperry has brought men who have a passion for the sea high quality shoes and fashion. 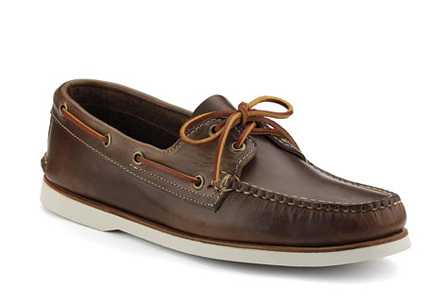 The company crafted the world’s first boat shoe that has become extremely popular today. After over 75 years of business, Sperry continues to the Authentic Original and the lifestyle that it represents. Your dad doesn’t have to lead a nautical lifestyle to enjoy these fashionable “gold standard” shoes, though. The summer air and some relaxation is all anyone needs to get in the mood for some original boat shoes, sandals, or oxfords. Dads may like to live on the edge, but that doesn’t mean they don’t appreciate safety, especially when it comes to family. Home safety isn’t always easy, though–or is it? Protecting your home, unlocking a door or changing the thermostat setting from wherever you are can be as easy as if you were at home with the new Digital Life security system. 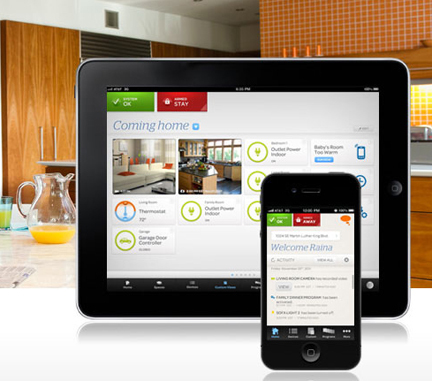 Digital Life is an all-digital, IP-based home security monitoring service with home automation via an app for your smartphone, tablet or PC. Digital Life is a brand new venture for AT&T that’s being driven with dedicated monitoring centers. If you live an area where AT&T has launched its Digital Life market*, you can set up the system for your home–and make sure Dad doesn’t have too much fun playing with these features! *AT&T has just launched in Baltimore, Kansas City, Minneapolis, Phoenix, Pittsburgh, Sacramento, and Washington, D.C. The original launches were in Atlanta, Austin, Boulder, Chicago, Dallas, Denver, Houston, Los Angeles, Miami, Philadelphia, Riverside, San Francisco, Seattle, St. Louis and select areas of the New York and New Jersey metropolitan area. Right now, there’s a promotion to get up to $100 off a Smartphone or Tablet when you purchase AT&T Digital Life. The Shelf Audio System is part of a line of products that music lovers have been waiting for; this is the ultimate music listening experience. This is a full boombox that connects to devices with OneTouch technology, where users simply touch their near-field communications (NFC) enabled devices like smartphones and tablets to the system to start streaming music. The kicker? Built in LED strobe lights that can turn your living room into a dance club. Even if your dad doesn’t like to dance, he can appreciate the amazing sound quality and innovation of this audio system.